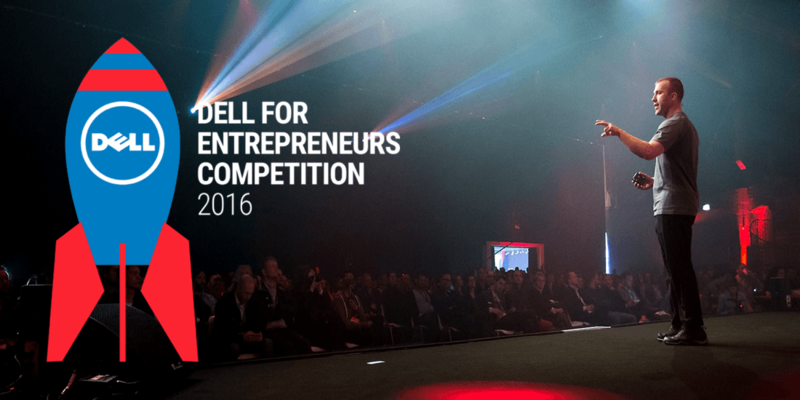 Back by popular demand: Dell for Entrepreneurs and The Next Web are proud to present the Startup Competition 2016. In June, two Dutch tech startups will receive the 2016 Dell Startup Award – a prize that comes with amazing opportunities. Dell for Entrepreneurs is searching for 30 of Holland’s finest tech startups to expand their network by pitching to a prestigious jury (including our very own Patrick de Laive, co-founder of The Next Web). The hottest two will receive a full year of coaching from Dell executives, access to Dell customer events and extensive network of customers and partners (50,000 clients in almost all sectors out there), along with access to the expertise of the company’s executives and senior employees. If that wasn’t enough, there’ll also be a bunch of other cool perks offered by partners Intel, Nalta Consultancy and Accenture. All registered startups will be evaluated by a panel selected by Dell Netherlands. They’ll select 30 startups who will be invited to the first round. This round will take place at the Dell HQ in Amsterdam on May 18 – save the date! During this round the startups get the chance to pitch their startup in front of a jury consisting of executives and an audience of customers, and this year’s partners: Intel, KPMG, Nalta Consultancy and Accenture . Next to the pitches, this evening will provide you with the perfect opportunity to network with various companies and other startups. The final of the startup competition will take place on June 30 during the Dell Nederland Summer Event in Noordwijk. The 10 best startups surviving the first round will get the opportunity to pitch once again to convince the jury and all attendees why their startup should win the Dell Startup Award 2016! This special day will receive attention from the media and provides you with the opportunity to pitch your startup to a wide public. Last year, two startups came out on top and managed to secure the sought-after grand prize amongst fierce competition: Bomberbot and Quiver. Click here to find hear how they claimed victory, and why you have to join this year. Does your startup, or the startup from someone in your network have what it takes to win the Dell Startup Award 2016? Dutch startups have the opportunity to register for the competition until May 6! Don’t hesitate and register your startup here. This will take approximately 5 minutes.